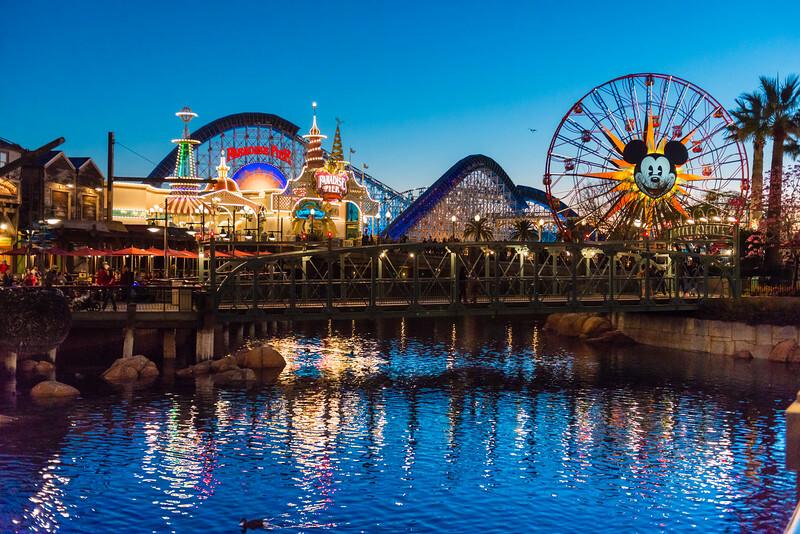 I received a tweet recently from Chad, a RideMax customer who had just returned from vacation using RideMax at Disneyland and California Adventure. It seems sort of hard to believe, but 2016 marks the fifteenth year since our very first RideMax sale. To this day, I still remember the feeling I had on that first day we opened for sales in 2001, when we had TWO customers purchase subscriptions. I was still working at my 9-5 job as a software developer for a large company, and walked the halls that day very excited inside for what had just happened. Little did I realize that this little idea would become as popular over time as it has, eventually allowing me to pursue RideMax as a full time job. Since those early days of a Windows-only program, where customers would typically print their plans and take them to the park, RideMax has evolved into the web version that exists now, allowing customers to create RideMax plans both at home or on-the-fly from mobile devices as they head out to one of the parks. For all of this, let me say THANK YOU to all of the thousands of you who have supported — and continue to support — the RideMax concept as it has developed over the years. The fact that RideMax resonates with so many of you is truly gratifying! Since we’re celebrating our fifteenth anniversary, I thought it would be appropriate to share an unsolicited email we recently received from a very loyal customer, who has been a RideMax subscriber off and on for several years now, having used RideMax successfully at both Disneyland and Walt Disney World. I am embarrassed to say that I have been meaning to write you for nearly a decade now to thank you for RideMax and to tell you how much it has meant to me and my daughters (my wife won’t set foot in a theme park!). I first discovered RideMax when planning a trip to Disneyland in the summer of 2007. We’re from Chicago and most of our vacations had been confined to family-related trips in the Midwest. That summer we were doing college visits with my younger daughter. 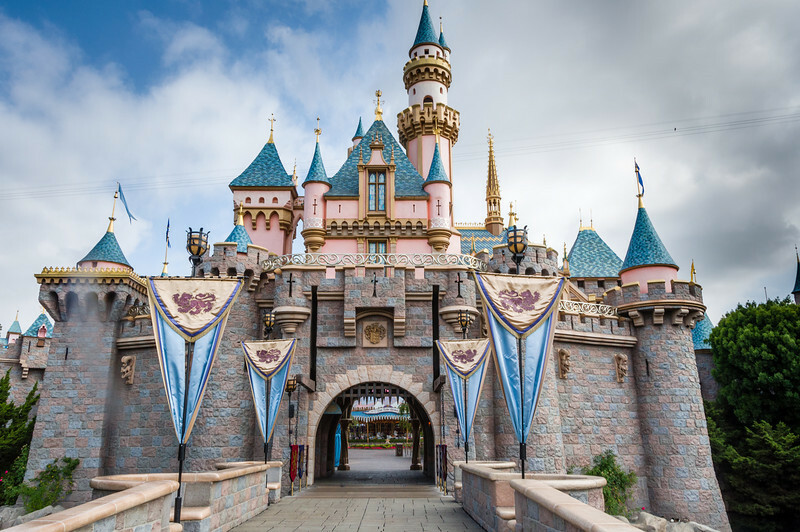 Our final visits were to schools around LA and I figured capping off the trip at Disneyland and fulfilling her lifetime dream to visit a Disney park would be a great way to celebrate. Since it would be her first visit and my second (the first in 1970), I was really anxious about managing the trip and being able to fully experience the parks. Nosing around the internet I came across an article on RideMax and decided to give it a try, figuring we could abandon the plan and fly by the seat of our pants if it didn’t work. We did our last college visit in the morning and then drove to Anaheim, getting into the California Adventure about 2:30. We did 13 rides before the park closed, even taking time out to go check into our hotel. We also saw FANTASMIC, drifting into seats more perfect that we realized by following your instructions. The next day we did 23 attractions (and took a five hour break for lunch and a nap). We started the day following your instructions for the NEMO submarines (Editor’s note: This was the time when Nemo was new 🙂 ) and as we jogged through the switchback line on our way to board the 2nd sub of the day the herd came charging out of Tomorrowland. My daughter looked at me and said, “Whatever you paid for RideMax, it was worth it” and we’ve been RideMax evangelists ever since. The next day we did 20 attractions before we had to leave for the airport at 2:30 in the afternoon. In the summer of 2009 my older daughter was back in Chicago for the summer and on a day together at the local Six Flags when I continually groused “They’d never get by with this kind of service/cleanliness/maintenance/etc at Disneyland, she always replied, “I wouldn’t know, I’ve never been there.” Figuring I had an obligation to remedy that, I started planning a WDW trip for August with both daughters. 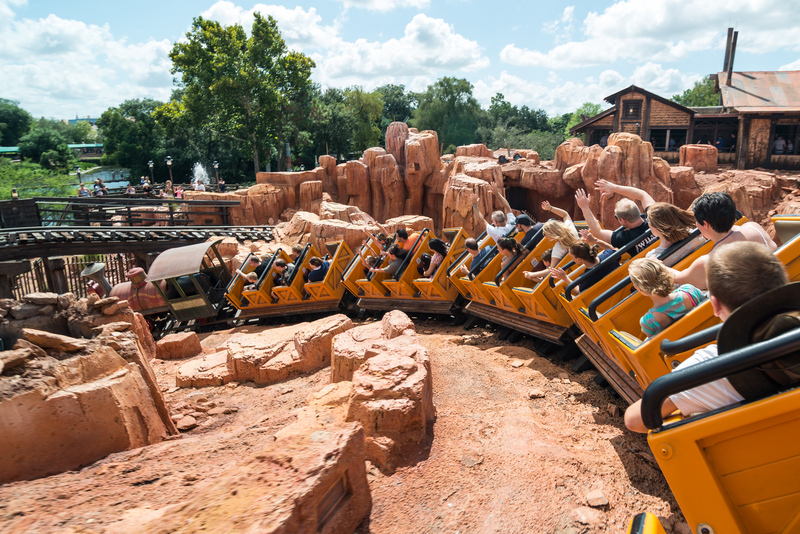 We created a spreadsheet and ranked the attractions that were most important to us, I created a number of RideMax plans, and we had the fun of sharing our opinions about the best plans in anticipation of our trip. We flew out on a Friday morning, got to the Magic Kingdom about 12:45, and were able to do 14 attractions before finish the day viewing fireworks from the bridge between Main Street and Founders Circle. On Saturday the buses were running late out of our resort and there we faced long lines at our arrival at Hollywood Studios. However, we stayed calm, followed your instructions, and new turnstiles opened to the left just before they began letting guests in, so we ended up at the rope for rope drop and were on the heels of the Toy Story Mania ride operators as they led the crowd to the FastPass machines. We were able to do 17 attractions (4 times on Tower of Terror) before heading over to the Magic Kingdom for the Spectro Magic Parade. On Sunday we headed to Animal Kingdom and did 12 attractions before taking the bus to Hollywood Studios for Fantasmic (and 1 ride on Rock ‘n’ Roller Coaster and two more trips on the Tower of Terror). On Monday we headed to Epcot where we started the day with a celebrity sighting (you) and had a quick chance to shake your hand, say thank you, and promise you this long delayed letter of appreciation. Though this was our hot and tired day, we did fifteen attractions, strolled the World Showcase, and capped off the night with Illuminations. On our final day, we headed back to the Magic Kingdom and visited 17 attractions. We saw you again at the rope drop for Mickey’s Toontown Fair – and following your rope drop instructions we were ahead of the crowd and when the mob went left for Tinkerbell we continued to Mickey’s House and, as the first arrivals, were greeted out front by Mickey and honored with a guided tour through his house, and surprised by Minnie waiting for us in the tent and able to have group pictures with both Mickey and Minnie. Though we were all adults, we were giddy with excitement at this unexpected magic. Before we left the park at 2:15 that afternoon we finished our stay with a break for coffee and dessert on Main Street because, thanks to RideMax, we felt like we’d done everything we wanted to! I have a good friend who grew up in Florida and considers himself a WDW expert. When I showed him my journal of what we’d done, he said it looked impossible. Those trips were lovely times with my daughters that none of us will ever forget. Because of RideMax they were stress free. We never bickered about what to do next, we never worried that we wouldn’t get to experience attractions that were important to us, we never really had to interrupt the enjoyment of our time together to deal with anything mundane. Throughout that week we kept repeating that the most important individual to the success of our trip to WDW was Walt Disney and the second most important was you. The past four years I’ve had the opportunity to travel to LA each fall for business and snuck in a visit to Disneyland each year. In 2012 it was just a Saturday evening visit (a recipe for disaster, I know) with annual pass holder friends who “knew the secrets.” Never waited in such long lines in my life! Fortunately we had a lot of catching up to do. In 2013 I spent a day park-hopping alone with my RideMax plan and did 26 attractions. In 2014 & 2015 I met up with friends for the day and the Halloween Party. We kind of started the day with RideMax and then free-lanced in the afternoon and during the party, doing 28 attractions one year and 23 the next. Though it may not sound like it I do stop to eat, shop, and relax. It is also looking like I will have to (get to) go to Los Angeles for work on February and will have two days free this year. If that works out, my daughters are going to come to join me so that the older one can have her first visit to Disneyland. A couple of observations – We have always gotten ahead of our plans, so we don’t worry about scheduling breaks. Usually we not only have time for breaks and meals without scheduling them into our plans, but have always been able to add bonus rides not included in our plans. The only times we’ve had a wait time longer than predicted has been because rides went down. Rather than our plans removing spontaneity from our days, the security of having the plan has allowed us to be spontaneous without the worry that our change in plan would keep us from doing other things that were important to us. So this is my very lengthy and long-delayed effort to thank you for what you do. It’s not only a convenience and a service, but for us it has facilitated delightful and stress-free family time together. You’ve also turned us into Disney Parks fanatics by allowing us to enjoy them to their fullest. It really is surreal to be sailing through the day while seeing other families in misery because they are stuck in the herd. What you do is valuable and important. I hope you find satisfaction in it and have some sense of the positive impact it has on families. Just a quick update today. It’s always fun hearing from RideMax customers who found the software helpful. Knowing that we’ve helped folks more fully enjoy their experience in Disney’s theme parks is one of the things that keeps me going. In that spirit, I appreciated this recent note from Jason, from Salem, Ohio, who used RideMax to plan a trip to Walt Disney World trip with his young daughter. The software was worth double the cost, easy. I planned a spur-of-the-moment trip to Disney World for my daughter’s sixth birthday. We are a spontaneous family like that, but I’d been there twice before and in order to make sure my daughter got to ride everything I thought she’d like, I knew I needed a plan. RideMax to the rescue. We went to Hollywood Studios, Magic Kingdom, and Epcot, each for a day. I crammed as much as I could into those days, including being at Magic Kingdom early (we got up at 6, at park by 8:30) and stayed until 11pm. Out of 3 days we missed only 2 rides on our list, but it was mainly due to my poor planning – I didn’t expect the line for Anna and Elsa to be 2 hours. Even though Epcot was on a Sunday, I picked the Friday before because the hours and extended hours closely matched. It was pretty darn accurate. We had a blast all three days and I know we got double the rides in with RideMax. Thanks for those kind words, Jason. I’m glad you had such a nice trip, and that RideMax could help!